Spoilers for Throne of Glass and Crown of Midnight are below. Celaena is broken. Broken for the second time by a death she couldn’t prevent, she flees Adarlan and lands in Wendlyn, where Fae still live. There she languishes, unable to pull herself out of the pit she has found herself in. When a Fae male finds her in an alleyway, Celaena can no longer hide. Although she’s barely able to hold herself together, Celaena must address the many things she’s been running from–and figure out who she really is and who she wants to be when she comes out on the other side. If she comes out on the other side. Something that Heir of Fire does extremely well is addressing the anger and sadness that you feel after the death of someone you love. Celaena is a fictional character, but art often reflects life. And life has loss. I thought that the way Maas wrote what Celaena was going through was incredible. The feeling of being lost, of being dead inside and having no will to move on…it was completely empathetic and resonated with me emotionally. There are times when you have to close yourself off completely and feel nothing or else you will shatter. When she first meets Rowan, the Fae male who has been sent to find her for training, he is this hard character who has little sympathy for Celaena, who he views as a spoiled brat. She is unable to tell him exactly why she is so angry and sad all the time because she hasn’t come to terms with it herself. It is only when she is able to express this loss that he is shown as softer. Out of all the Fae and demi-Fae around them, he is someone who can truly understand what she is going through. The rough start to their friendship is the reason that I loved Rowan as a character so much. He is so multi-faceted that it reflects back to Celaena and allows her to grow in ways that hadn’t been addressed in the first two novels. His rough yet kind attitude allows her to come to terms with the things she has been running from for nearly half of her life. She in turn helps him. Just in case there are people who haven’t read Throne of Glass reading this review (I was one of you not long ago), this review has potential spoilers for Throne of Glass. 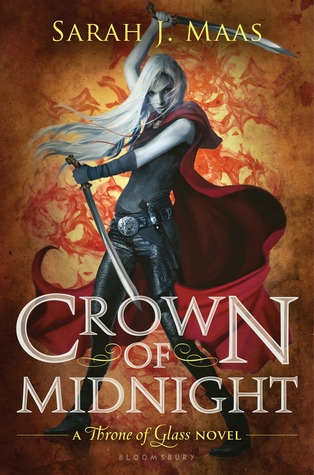 There’s also a very, very light (and not specific) spoiler for Crown of Midnight, but since it’s already been mentioned in the official summary of the book, I think it’s okay to mention it in my review. Just a warning! I really hate when the summary of the book gives away too much the way it does for Crown of Midnight. There are some things I wish had been kept from the reader because I wouldn’t have been aware of it coming up and the impact would have been greater. Anyway. Review time. 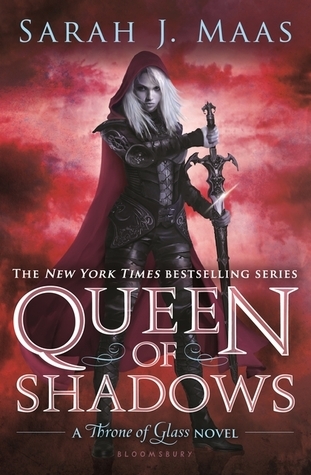 Crown of Midnight is the second novel in the Throne of Glass series. Now the King’s Champion and assassin, Celaena is counting down the days to her true freedom–when she can leave Adarlan and disappear into the forests and mountains far away. So for now she bides her time, killing at the King’s whim and trying not to lose herself in the process. Celaena, however, has a secret–one that she hides from the King and hides from her friends. And when there are secrets, it’s only a matter of time before they come out. And she’s not the only one keeping them. 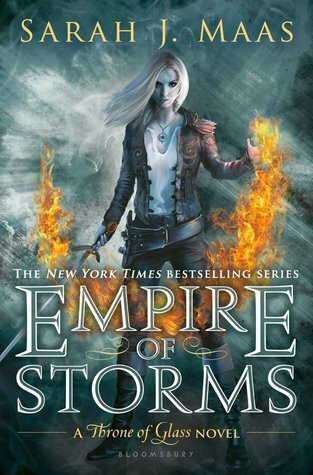 I was actually really impressed with how there was a sharp increase in talent in the writing of this one compared to Throne of Glass. Had that not happened, I would not have continued the series. 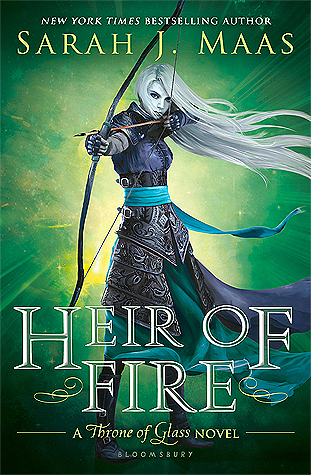 So really good job, Sarah J. Maas, at getting someone who didn’t like your first book into liking and wanting to continue the rest of your series due to the second. The style became less telling and I was more invested in the characters as things were revealed about them slowly. It helped too, that the focus wasn’t on a competition (but the true focus was actually on the shoddy love triangle and obsessive vanity of Celaena) the way it was in Throne of Glass. The writing style was so much better, which translated to the plot, pacing, characterization, and setting being well-thought out and engaging. I almost couldn’t believe that this was the same series, it was such a change. A good change. 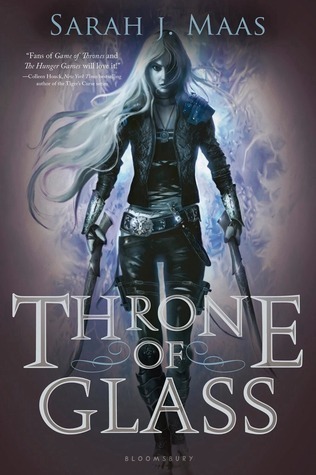 Throne of Glass is the first novel in a series about Celaena Sardothien, an assassin who has been toiling in the slave mines of Endovier for a year when she is suddenly released under one condition: she must fight in a competition to be the King’s Champion. Only then will she win her freedom. As Adarlan’s Assassin, she strikes fear into the hearts of people who know her name; as Celaena, she’s only a girl to the men in the competition and easily brushed aside. As the competition continues, Celaena proves that she’s not easily ignored, but soon that’s the least of their worries. Something is killing the competitors–and it’s only a matter of time before it comes for her. If you only read the synopsis of the novel, it sounds pretty good. It’s only when you open the pages and read the first few chapters that you realize it’s not that great. This novel came out a few years ago when I was still working at a bookstore, and I remember picking it up and dismissing it as something that I wouldn’t enjoy. That opinion held true to some extent. I still read through this book because I’d heard from several reviewers that I follow that this is one of their favorite series and that subsequent books are far better. This meant that as much as this book was overwhelmingly meh to me, I had to read it to see if the series is as good as everyone says. That said, there were things that I did really like about this book. The idea of a female assassin was great, if poorly executed. I just didn’t believe that Celaena was that horrifying assassin. She focused entirely too much on sweets and outfits. There were more descriptions of the intricacies of Celaena’s outfits rather than her actions in this competition. That is what I was interested in. It made Celaena’s vanity–and frankly, stupidity–the focus of her character rather than her supposed talents of assassination. I do like that she is vain because it is a strange flaw for an assassin to have, but it became too much when I was looking for other aspects of her personality to shine through. I just didn’t buy that she was this feared assassin, even if she couldn’t come out and say it. However, I do think that it showed her age. She was vain and childish because she is a young character. It’s just too bad that I didn’t feel that I saw much of her mature side.